A wireless router with multiple connectivity options. 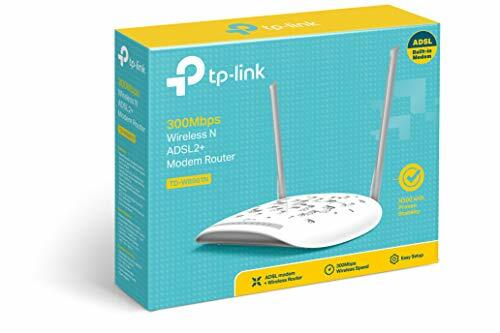 The TP-LINK Wireless Modem Router facilitates seamless Wi-Fi service in your home or office as well as functions in several ways to enhance your internet connectivity options. 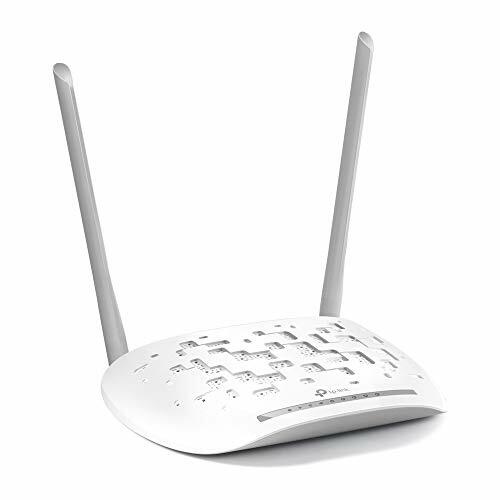 For ADSL2+ cable subscribers, the Modem Router operates as an ADSL2+ Modem to give blazing-fast wired connectivity service. It can also function as a NAT Router to allow you to share a single IP address with all of your devices in your private network. This is accomplished for enhanced security reasons and to work with a single IP address for better convenience in local networks. 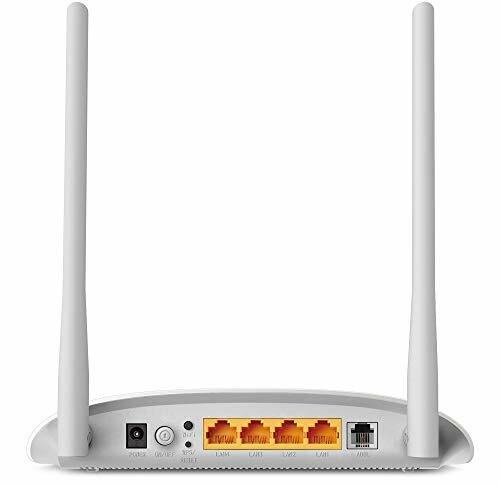 And, when turned into a 4-ports Ethernet Switch, this TP-LINK Modem Router allows you to add multiple devices in a wired computer network at your place. Enabled with Wi-Fi 802.11n technology, 4 -megabit LAN ports and transfer speed of 300 Mbps, the TP-LINK Wireless Modem Router allows you to seamlessly carry out your bandwidth-intensive hefty tasks. 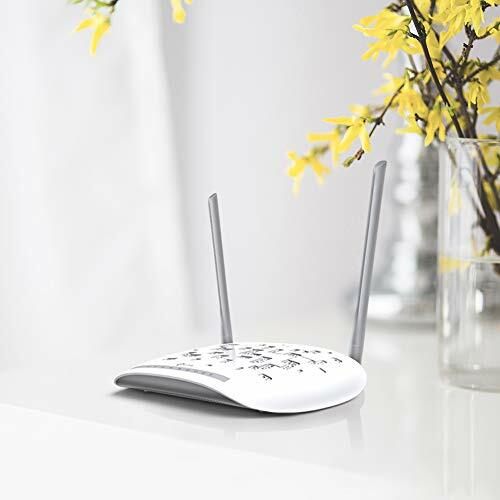 These include HD video-sharing, online gaming, video-conferences and more that are experienced with stutter-free performance with this Wireless Modem Router. You can go for Internet Protocol TV streaming or online gaming with this TP-LINK Modem Router. Its QoS Engine supports improved IPTV telecasting and online gaming services by prioritizing your internet traffic. Moreover, the IGMP Multicast and the IGMP Snooping features of the Modem Router facilitate you with enhanced multimedia applications experience. TP-LINK Wireless Modem Router features easy installation with its combination of User Interface and Setup Wizard or the CD-directed Setup Wizard. Moreover, you just have to press its WPS button to add devices without the need to disclose your Wi-Fi password. 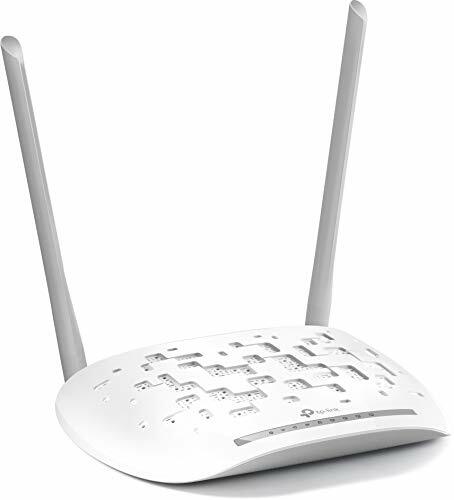 The above description applies for TP-LINK TD-W8961N 300Mbps fixed Antenna Wireless N ADSL2+ Modem Router.